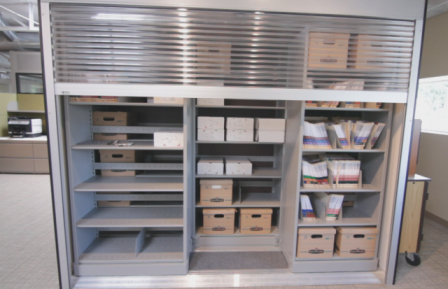 The EasyStor Lateral Storage System – Bi-File Sliding Shelving – maximizes your filing and storage area to solve both space and access problems. 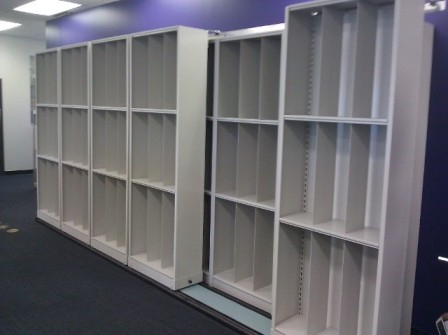 The idea behind how Bi-File Sliding Shelving works is simple. 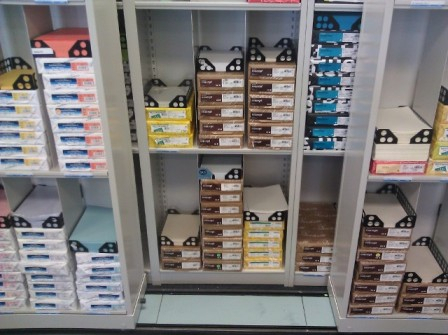 Take a row of stationary lateral shelves, and then put another row directly in front of them. 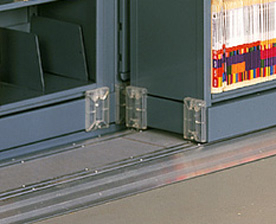 The front row of shelves rest on movable carriages that are attached to floor tracks so that they can slide back and forth. 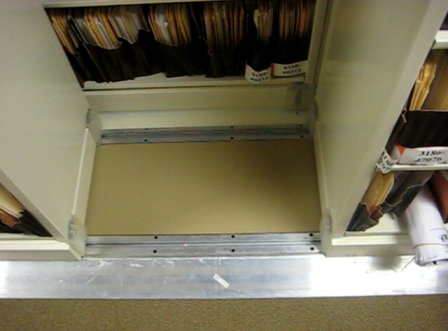 This movement allows access to the back row of stationary shelves. 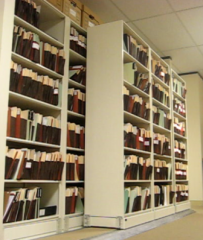 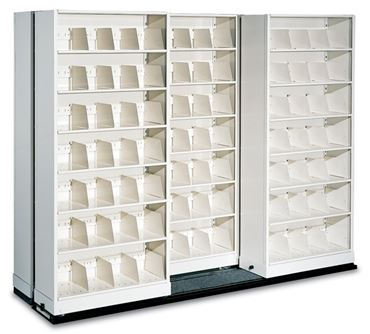 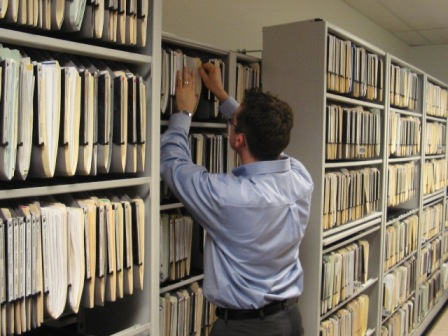 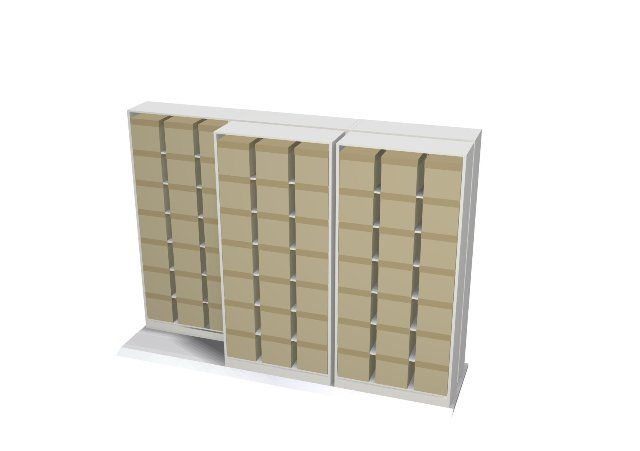 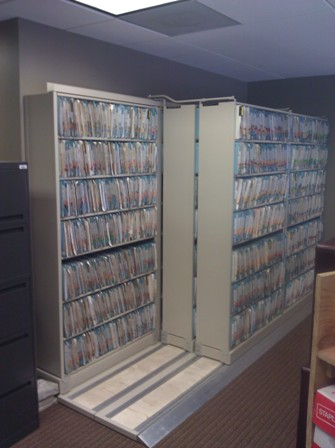 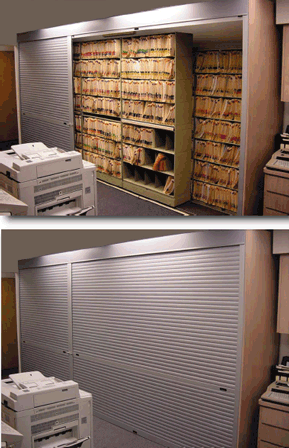 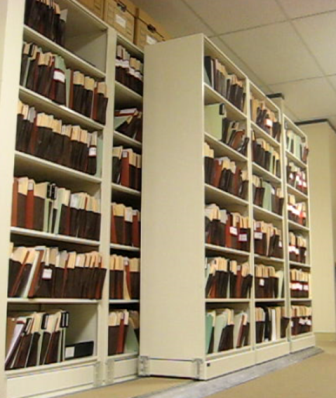 The result of the Bi-File Sliding Shelving is a dramatic increase in storage capacity in significantly less space, which lets you to centralize your filing and storage area.